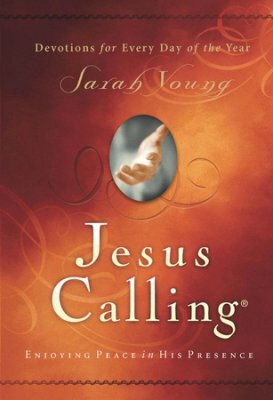 For many years, missionary Sarah Young kept a prayer journal, recording her thoughts and prayers. Then she decided to start listening for what Jesus might be saying to her in her daily journey. The journey she started encouraged her heart, along with thousands of others the world over. 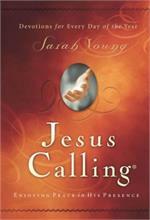 Her meditations became the now classic devotional, Jesus Calling: Enjoying Peace in His Presence. 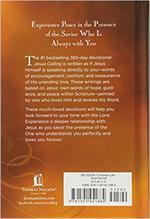 These 365 days of readings share the words and scriptures Jesus laid on her heart to share. 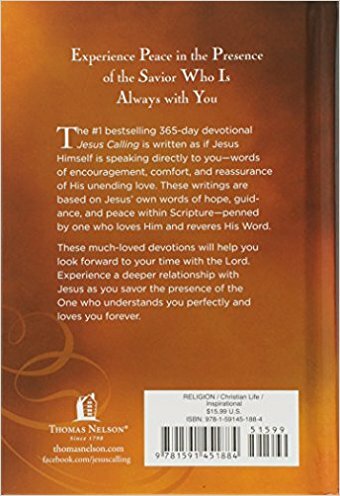 As you read these words of inspiration and encouragement you'll be brought closer to Jesus presence, experiencing His love and peace. Hardcover. 384 pages.